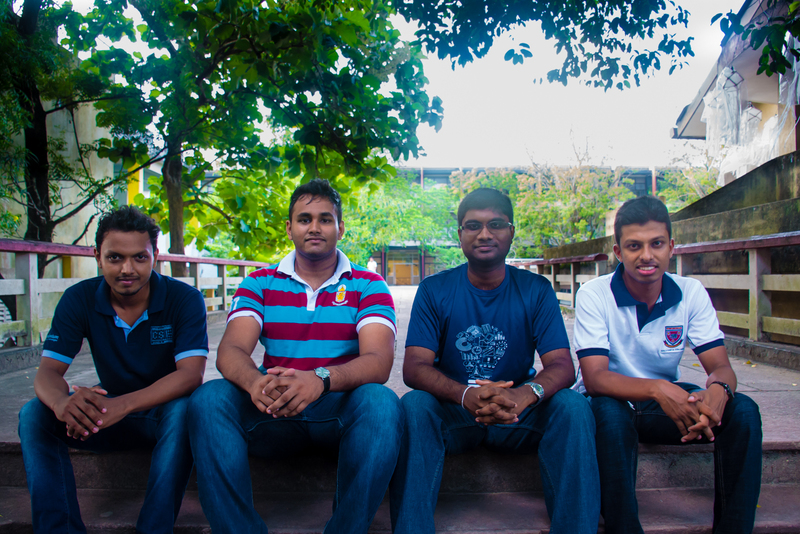 Yeah… the students of University of Moratuwa well know these 4 guys because these days everyone talk about them. Who are these guys? Yes, they are bit masters, in names they are Lakmal, Charith, Chathusha and Chanaka. How they became as the most famous topic in the university? The reason because, they are the Sri Lankan first ever team who selected for the Grand finals of Microsoft imagine cup 2016 which is the biggest students’ technological competition in the world. Wow that’s great to have that kind of a momentous chance to represent our country and the University of Moratuwa internationally. Without dedication, hard work, commitment and sacrifices; we can’t reach to the success. So the bit masters also put huge effort to succeed their target. That’s why they said as, “The journey wasn’t easy to come this far”. We all appreciate and proud of them because of what they brought for the country and the university as students. So let’s see how these 4 bit masters came this far. 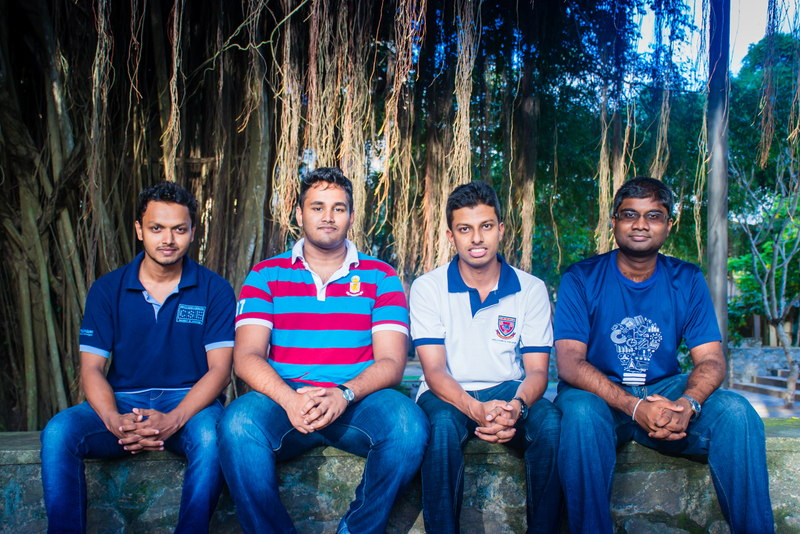 Q-1 : You are the first Sri Lankan team ever head the MS imagine cup world fnal under innovation catogery. So can you tell about your innovation and how it works on? Yeah, actually it is extremly glad to have been established to head the MS imagine cup final 2016 under innovation category from our project called “Amplus”. As an innovation Amplus is a low cost, easy to use, intelligent digital signage solution for advertising. We have been developing this product for more than a year and have won several National and International level competitions as well for this product. Q-2 : What is the trigger which motivate you to come up with the idea of “Amplus” to the stage? And how it was happened? To remind you about the begin.. It began with the Google I/O Hackathon 2015. One day some of my friends and me went to see a movie at Majestic City and then we saw a digital signage there. It was showing a variety of advertisements and we were staring at it for a long time while having the dinner. That is where we tried to realize what else can be done in this industry or market. Further we have been working on human-compter interaction related projects for months by then. So we all supposed to create something innovative, and unique by considering the human factor of things as well. That is how we came up with the idea of Amplus. Q-3: Is there any other competitive products that use the same concept or related concepts which can be a challenge to your product? There are several competitors in the digital signage industry with the well known brand names like BrightSign, Phillips Signage… They manufacture digital displays with different shapes and different sizes with an advertisement player. Further in USA and Europe there are companies like Atmedia, Cemusa which run advertisement networks. But from the value added feedback to the advertiser, from the posibility of advertisers to target advertisements based on location, times of the day and most importantly the gender of the viewers, and from the low cost due to the innovations in business model are the three main unique features clearly differentiate us. In addition the advertisers can target their advertisements based on age of the viewers as well. Q-4 : How kind of a leaverage you put on to suceed the mission of “Amplus” while working as a team? Lakmal: Oh it is really glad to say that working with a nice combination of team is actually wonderful. 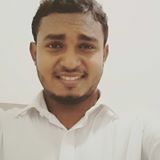 When talking about my friend Chanaka, he specialized in Web Development and he is the director of IT in the Rotaract club of University of Moratuwa. Then talking about my friend Charith, he is doing a degree in Integrated Computer Engineering and deals with the hardware related aspects of our project and he is the Batch representative of his Department as well. Talking about Chathusha, he is the person who handle the business and marketing aspects of Project Amplus. And he is the Vice President of Business Development in AIESEC Sri Lanka. As myself I'm the person who mainly handle the computer vision related tasks in this project. And I think doing computer Science and Engineering and having a business background with my CIMA professional qualification back-up me to do my tasks well. So as you can see the team possess talent in diverse areas and they gave their maximum effort to come this far in this mission. Charith: This diversity was helped in diferent ways to get a huge range of knowledge which we needed. Q-5: You guys have innovated in a rapidly dynamic industry. Your product Amplus can be outdated quickly in unexpected way. So how are you guys going to face towards this challenge? Lakmal: Businesses and industries are evolving day by day. That’s why we created Amplus not thinking only of the present, but for the future. We will keep innovating and developing Amplus further. It is ever going to cycle which every business in thw world is facing and we are ready to do it. Charith: Yeah.. The industry is developing rapidly. As well as the technology. So for being a challenge to other competitors, we have to rapid innovation and developments of our Amplus to match with all changes in the industry. Currently it has successfully passed 3 stages of complete re-engineering. We will continue to do developments and implementations in both engineering and business aspects. That is how we are going to be a challenge to challenge. 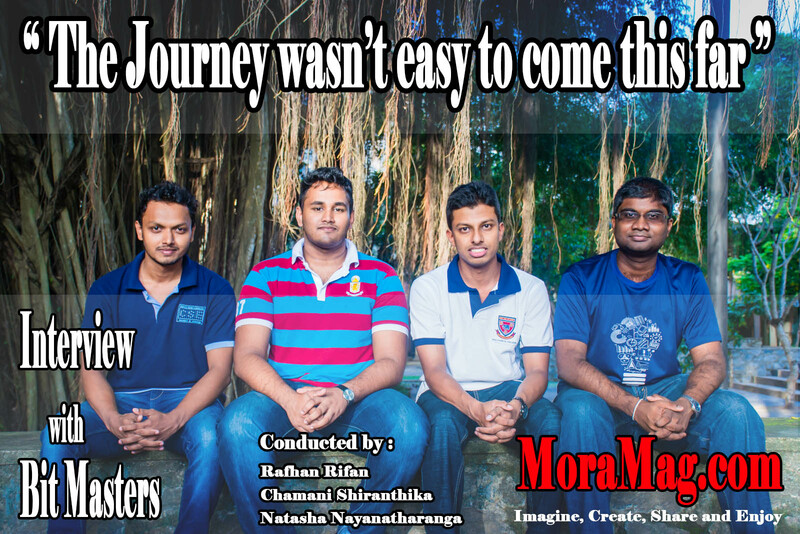 Q-6: It is my heartiest congratulations to our bit masters who are going to brighten up our motherland Sri Lanka and University of Moratuwa. We all are really proud of you. So what are your advices to fellow students to make our country and their Alma meters proud? Lakmal: As students we are the country’s future. So it is up to us, the students from all the universities in SL to take this opportunity to brighten up our motherland internationally. The journey wasn’t easy to come this far. We have working to succeed Amplus for more than a year. Our dedication, commitment and sacrifices brought us here to make this possible. 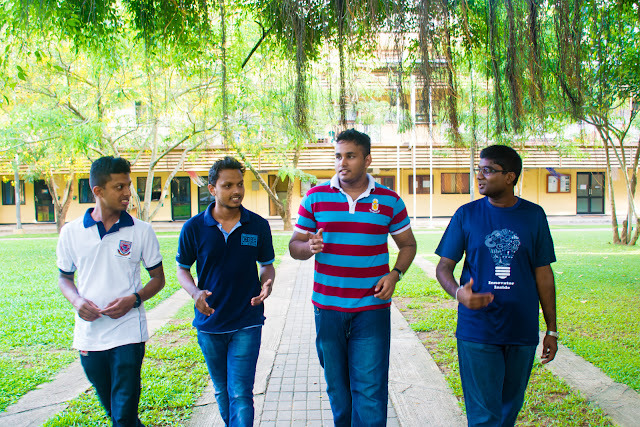 It is extremely pleasure to be the first Sri Lankan team who won world semifinals and able to reach to the Grand finals of MS imagine cup which is the biggest students’ technological competition in the world. I hope that we created the path to make it true. So it is your opportunity to move beyond on that path in upcoming years as we did this year. 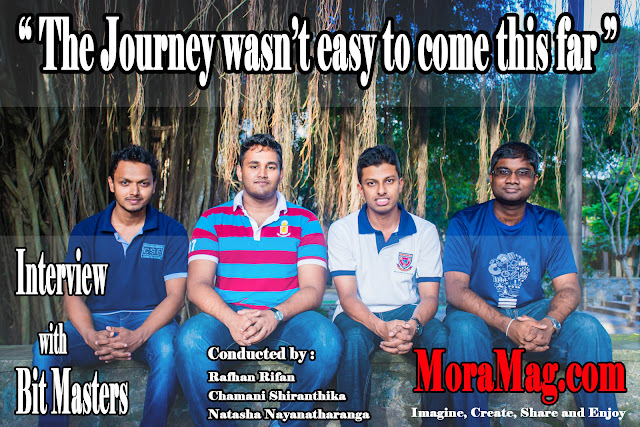 As that so, we should thank you Mora Mag.com crew for wishing and cheer up us and have an interview with us. Actually it our pleasure to have this kind of official web site which encourage our university life. So I think this will be a great great service not only for our university, but for all universities in SL. And Im very sure that large number of fans and volunteers will flock together around mora mag.